Modern American garages are a far cry from their 100-year-old predecessors. From their start as converted carriage houses used to store the automobiles of America’s wealthiest citizens, garages have transformed into a household necessity that every home buyer has come to expect. No modern home is complete without at least a single car garage, and most of today’s garages do more than simply store cars. From man-caves to apartments to home offices, garages are continuously remodeled, re-purposed, and reorganized to suit the many needs of American families. Life in the United States is centered around the automobile, so it makes sense that, over time, famous garages have popped up all across the country. American garages have been the birthplace of many Fortune 500 companies, provided an early studio for many of today’s famous musicians, and have been used by wealthy Americans to house impressive car collections.Take a look at a few of America’s most famous and impressive garages. The Birthplace of Apple Inc.
Nowadays, it is almost impossible to go anywhere without seeing an Apple Product. From iphones to ipads to MacBook computers, Apple’s dominance of the technology industry in America is astounding and continuing to grow. Did you know that Steve Jobs, founder of Apple Computers Inc., started his company in a Los Altos, CA garage in the late 1970’s? Now designated a ‘historic resource,’ 2066 Crist Drive, or the garage attached to the home at 2066 Crist Drive, was the birthplace of Apple computers and is considered one of America’s most famous garages. Apple is not the only tech giant that got its start in a garage. Google co-founders Larry Page and Sergey Brin set up the first ever Google work space in a garage in Menlo Park, California in September 1998. Of course, if you go online at all, you know the rest of the story. Google has become another inescapable internet giant. Interestingly enough, Google’s co-founders rented the garage where they started the company from Susan Wojcicki, who is now the CEO of popular website YouTube. John Travolta’s massive success has afforded him some pretty nice luxuries, and the garage attached to his Ocala, Florida home is certainly one of them. The garage houses 15 cars, a private jet, and Travolta’s very own jumbo jet, which he flies himself. Travolta built the home himself, and put in not only space for his automobiles and planes, but airstrips as well, so he can take off or land directly at his home. You likely know Adam Carolla from his years of being a radio personality, but you may not know that he is an avid car collector, and owner of one of the most famous garages in Hollywood Hills. Featuring multiple sports cars, an office, and an entertainment lounge, Carolla’s garage is a paradise for car enthusiasts everywhere. Carolla’s garage also features an elevator that can lift cars into a glass showroom where they can be displayed. Late night television personality Jay Leno is the owner of an incredible collection of over 200 cars that would make any auto-enthusiast swoon. To house his massive collection, Leno has a 17,000 square foot garage in southern California that is known as the Big Dog Garage. Leno has an extensive collection, including McLarens, Ferraris, and Lamborghini’s, all of which he drives. Leno has even stated that he drives his extremely rare collectible cars. The Big Dog Garage also houses equipment used to maintain cars such as sheet metal machines and welding tools. Entertainment giant Walt Disney started his company in a small garage in Garden Grove, North Hollywood. Back in 1923, Disney transformed his uncle Robert’s garage into an animation studio, and shortly after started producing a serious known as Alice Comedies. Disney has said he considers the garage the location of “the start of the Disney company first known as the Disney Brothers Studio.” While Disney moved on to a larger space as his career took off, Disney fans still leave souvenirs and memorabilia in front of the garage, now a part of the Stanley Ranch Museum. Nike co-founder Bill Bowerman came up with Nike’s classic waffle-patterned sole in his garage in 1972. He poured urethane rubber into a waffle iron, and while the rubber ruined his waffle maker, the idea of the “waffle” sole was born, and shoes with waffle soles went into production by the mid 1970’s. 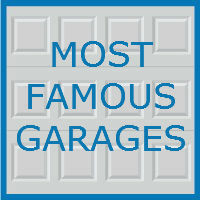 While these are just a few of America’s most famous garages, it is clear to see that garages are a fixture of American life, and are used for a wide variety of purposes. What do you do with your garage? Perhaps your space will be the birthplace of your best selling invention. Perhaps your child’s small town garage band will go on to the Billboard Charts. The possibilities are endless. The skilled team at Blue Sky Builders is here to help you with your next garage related project. Be it building from scratch, remodeling, or simply doing maintenance, our experts are available to assist you today with whatever your project may be. 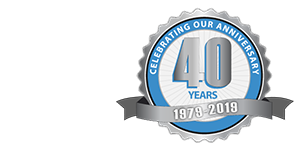 Contact Blue Sky Builders online or call 630-852-8485 to learn more about our services today.